When it comes to online business material, you have to be on top. You have to be optimized. Nothing else will do. While the above may sound like some sort of macho credo one might say to win a Mr. Olympia contest, its sentiment holds value. Online business content needs to be optimized if it’s going to be seen by, and enticing to, clients on the World Wide Web. Grabbing and holding clients’ attention should be your objective whenever you are creating or editing your online content. Now, that’s not to say that optimization is an easy task. Many online business professionals burn more than one brain cell and consume more than one pot of coffee late into the night trying to master optimization for business content. Optimization is a tough job to do well, and many pros ultimately give up—but it doesn’t have to come to that. Optimization is tough, but it’s not impossible; if you work at it, you can succeed in making it work for your business material. 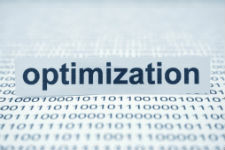 Before going any further, it’s important to understand a key optimization aspect: getting optimized can certainly be difficult, but it’s the task of staying optimized that’s the really tricky part. If you want your online material to stay at optimized levels, it’s going to require more than a one-time job. You have to keep the optimization high and be prepared to change the content as need-be for optimization purposes. If you’re familiar with online optimization, then you know that the first thing you need to determine is the keywords—especially competitive keywords. It’s best to get a keyword program to help you generate the right competitive keywords for your business’ content and see which ones you can incorporate into your text. It’s working with keywords where things get tricky, as you have to pick the words and then write content around them. You may have to get a content writer with search engine optimization (SEO) experience and knowledge of keywords who can write content that is both optimized and reads effortlessly for your web site. Competitive keywords and their usage have some hidden rules. First off, avoid single keywords and instead stick with keyword phrases or long-tail keywords as they are specific and are more commonly found in online searches by clients. Also, try to use the phrases that your keyword program rates as the highest—they will help you the most. From there, your optimization effort should take place across all of your online content, be it on-page SEO that is within your own web site material or off-page SEO, away from your web site, and instead on foreign pages. Interestingly, you should apply whatever optimization actions you can wherever you can online. Even in unlikely content places such as social media, the content you post there needs to go through social media optimization (SMO) so that your social media business content has embedded keywords and can be found through organic online searches. As mentioned earlier, optimization is never a one-time deal—it has to be reworked as patterns in online searches change over time. New competitive keywords become available and new searching mechanisms develop. It’s best for an online marketer to recognize this changeability and be ready to rework their material on a regular basis. It’s worthwhile to pay attention to the trends, watch your analytics, and be ready to make changes. Implementing some sort of optimization revamping schedule might be a good idea. Consulting an SEO or keywords pro might also be necessary, at least initially to learn and acquire the right habits for optimization. 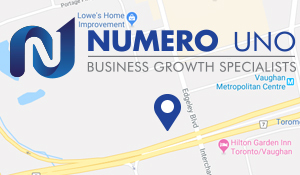 Once you get a good understanding of the nature of optimization, you can keep your online material working at optimal level—all the time—and really bring home continual success for your business.